Through this partnership, Google will bring its technology and skills in AI, cloud, and new consumer shopping interfaces like the Google Assistant. Carrefour will bring its product expertise and know-how in logistics and sales. The common objective of this partnership is to bring together the expertise of both companies to offer consumers new and innovative commerce experiences in France, whether that’s in a store, online, on smartphones, or with voice. ● A new buying experience from Carrefour across Google platforms (Assistant , Google Home and a new experience on the Google Shopping website in France), expanding the Carrefour footprint in the digital ecosystem. The common goal of both companies is to provide users with simplified and intuitive buying experiences. By early 2019, users in France will be able to shop for groceries through a variety of channels including on Google Home, via the Google Assistant on their mobile phone, or on the Web through the new Google shopping destination in France. Items can be delivered to their homes or available for pick up in-store. ● The opening of an innovation lab in Paris this summer in partnership with Google Cloud where Carrefour engineers will work side-by-side with Google Cloud AI experts to co-create new consumer experiences. ● A training program to accelerate the digital transformation of Carrefour Group. The initiative, which has been in progress since the beginning of the year, aims to incorporate a culture of quick decision-making and agility within the group. In this context, more than a thousand employees of Carrefour will be trained with the support of Google Cloud in six months. Carrefour will deploy Google Cloud’s G Suite productivity and collaboration solutions (Gmail, Calendar, Drive, Hangouts, Docs, etc.) to more than 160,000 Carrefour employees; and the use of Google Cloud Platform infrastructure will be accelerated. “I would like to thank the Google teams, both in France and the United States for this strategic partnership for our two groups. This alliance makes Carrefour the first partner of Google on grocery e-commerce in Europe, creating a strong bond between the two companies. It also marks an important step in the new story written by Carrefour since the announcement of the Carrefour 2022 plan. It allows us to accelerate our digital evolution and get a head start in deploying the omni-channel approach we want to offer our customers,” said Alexandre Bompard, CEO of Carrefour. “Shoppers today are saddled with disconnected experiences through the shopping journey, which often lead to abandoned shopping carts and low customer satisfaction and loyalty. Customers want assistive, simple and personalized experiences that help them make decisions on what to buy, assist with easily building baskets across surfaces, and provide a seamless checkout. With Alexandre Bompard and his team, we wanted to explore new distribution models and e-commerce technologies to deliver simple, frictionless and deeply relevant experiences for shoppers in France. 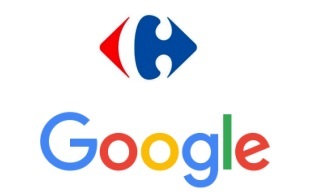 I’m happy we’re contributing to Carrefour’s digital transformation through the deployment Google Cloud Platform and G Suite’s collaboration tools,” said Sébastien Missoffe, VP and Managing Director of Google France.